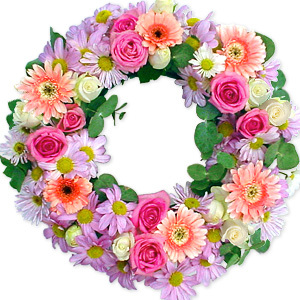 Info: Pastel colours beautiful funeral wreath, to include pink roses, lilac lisianthus and alstromeria. Diameter approx. 60 cms.